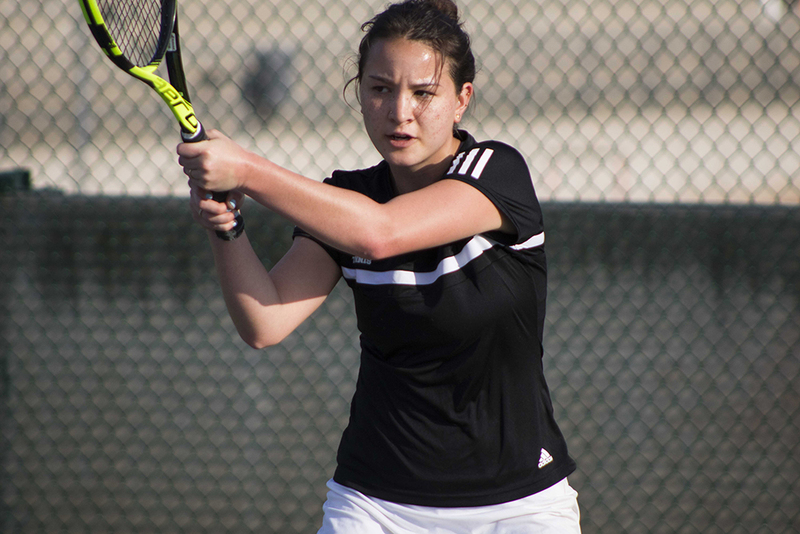 The men and women’s tennis teams competed against three schools in Texas during spring break March 8–10. The men’s team won against Schreiner University 9–0 and East Texas Baptist University 8–1, while losing to the nationally ranked Southwestern University 2–7. The women’s team won against Schreiner 6–3, but lost to both East Texas Baptist and Southwestern 8–1 and 9–0. The players said the trip was a bonding experience and they are more than satisfied with how they played. Men’s team captain Cameron Coe (senior), who played as the third singles and first doubles pair, said the matches went very well for the most part. Alana Adelman (junior), who played as the sixth singles player in the team on the women’s team, considered the Texas trip an enjoyable experience. With the start of a new season came a new coach. An Occidental alumnus and former player, David Bojalad ’94, took the position as the tennis teams’ head coach Nov. 5. Rachel Manasse, the previous head coach, took a coaching job at the University of Southern California. Coe said Bojalad is different from Manasse in that he focuses more on the mental side of the tennis game. Olivia Adelman (junior) agreed with Coe, adding that she can see Bojalad putting in efforts to be a good, responsible coach. The women’s team played a close match against Wheaton March 14 four days after their Texas tour. 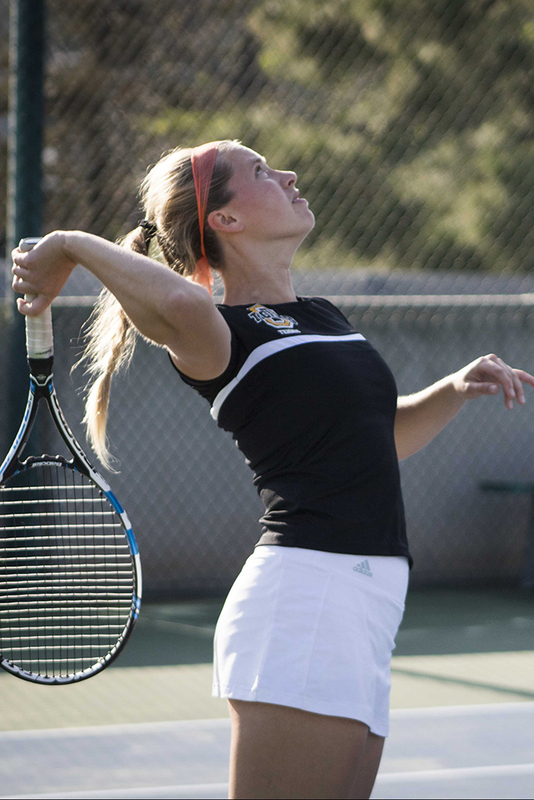 Twins Alana and Olivia Adelman stood out in the games as they won three out of the five matches that eventually led Occidental to a marginal 5–4 victory over Wheaton. The Adelmans both won their singles matches and together won the doubles match as the No. 3 pair. The doubles match was the first time the twin sisters paired together since they graduated from Nordhoff High School in 2016. Olivia Adelman believed their common experiences growing up enabled them to cooperate well. Besides the twin doubles action, Alana Adelman was able to take the deciding match — even with a shoulder injury — as No. 5 singles when the score was at 4–3. Olivia Adelman said one of the challenges the women’s team faces this season is prevailing injuries among the players. Under a new coach, both Coe and Alana Adelman said they felt the competitors this season were tougher than the last. Alana Adelman said that at the start of the season, the women’s team played some of the best Division III schools in the country such as Pomona-Pitzer (national No. 4) and Claremont-Mudd-Scripps (national No. 2). On the men’s side, the team started this season with a heavy 7–2 loss to Pomona-Pitzer (national No. 14) and recently lost 8-1 to the 2018 division champion Middlebury College (national No. 2) March 24. Coe recognizes the team is still of a considerable distance from top-ranked schools, but believes there has been noticeable progress made and the team has good potential. Due to construction of the new McKinnon Family Tennis Center, the teams have been playing off-campus for all home matches this season. However, according to Coe, once the construction is completed in a few weeks, the teams will be able to finish their home season playing on the newly-built courts. Previous articleShould Oxy rescind an honorary degree to a racist recipient?